During a recent walk through the forest, I collected some moss and continued to culture it on my desk on a shallow plate. 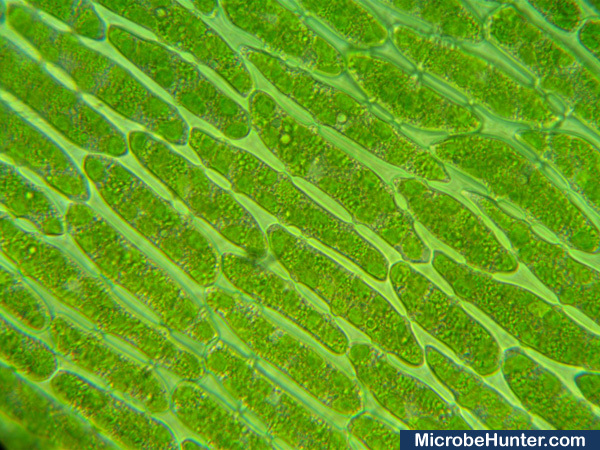 Countless organisms could be found in the moss, and also the moss plant itself is quite suitable for microscopy. The pictures below show that automatic white balance applied to the pictures can greatly enhance the color contrast. Figure 1 shows the original image, Figures 2 and 3 had white balance and automatic contrast enhancement applied. The image looks much fresher and some structures are significantly better visible. The green chloroplasts can now be differentiated from the cytoplasm, which is now purple. 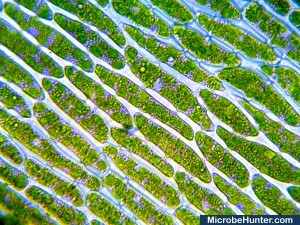 The plasmodesmata are the regions where two adjacent cells touch each other, for inter-cell communication. The cell wall is now white separating it from the cell contents. Figure 1: Moss cells without white balance. 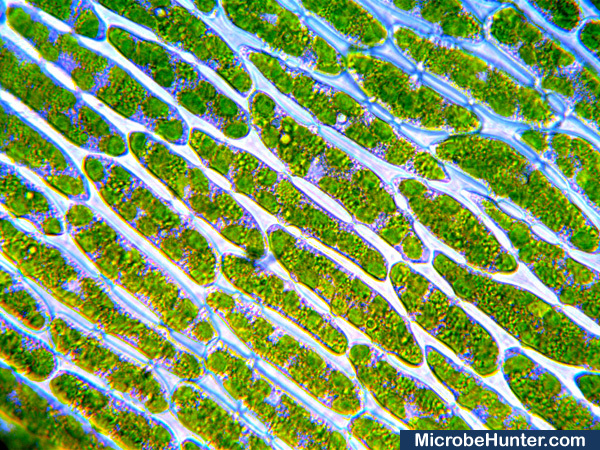 Figure 2: Moss cells with white balance. 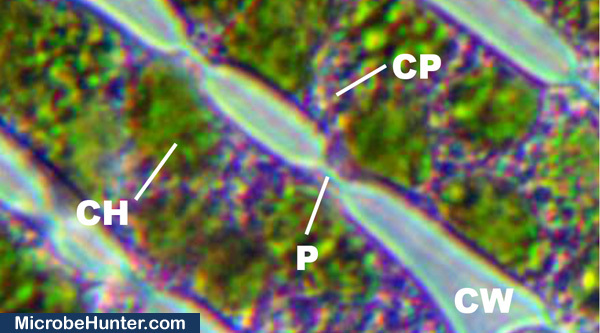 Figure 3: CW: Cell wall (white); CP: Cytoplasm (blue-purple); P: Plasmodesmata; CH: Chloroplast (green).